Hot Topics series continues with a hard rock look at a tough question that all of us ask: why do good people suffer? am i just a liar? or a killer? or a beast? should i sit in judgement? do i have to judge me? when the weak fall to the strong? would i trade my freedom for a cheap thrill? When you write a song about such a difficult issue it is important to set a tone. 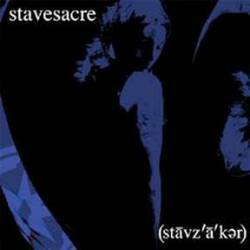 Stavesacre is clearly out to answer a big question with another important question: Is there anyone out there who is really good? Smartly, he points the finger at himself first. There is an empathy for those who burn with the flame of injustice. But the overarching theme to this song is that none of us are “good” enough to judge who should suffer and who should be blessed. What does the Bible say about this question? 16 So it is God who decides to show mercy. We can neither choose it nor work for it. 17 For the Scriptures say that God told Pharaoh, “I have appointed you for the very purpose of displaying my power in you and to spread my fame throughout the earth.” 18 So you see, God chooses to show mercy to some, and he chooses to harden the hearts of others so they refuse to listen. 20 No, don’t say that. Who are you, a mere human being, to argue with God? Should the thing that was created say to the one who created it, “Why have you made me like this?” 21 When a potter makes jars out of clay, doesn’t he have a right to use the same lump of clay to make one jar for decoration and another to throw garbage into? 22 In the same way, even though God has the right to show his anger and his power, he is very patient with those on whom his anger falls, who are destined for destruction. 23 He does this to make the riches of his glory shine even brighter on those to whom he shows mercy, who were prepared in advance for glory. Heavy words to go with a heavy song and a heavy question. The summary of it all is this: Why does God allow good people to suffer? First, none of us are good on our own – not good enough at least to have the right to even ask God this question (see verse 20). Second, all of us deserve to be called “vessels of wrath”, BUT God has chosen out of His love and mercy to show us His grace. He shows His grace to the entire world every day by holding back the full potential of evil and destruction. Things could and should be a lot worse. He also shows His complete grace to those who believe in His Son. He promises to all true believers an eternal future of perfect joy and a pain-free, tear-free life with Him in paradise. These answers don’t necessarily make us feel better about today’s troubles. Sometimes, we even feel like shouting back at God and saying, “Hey! I need more from You! More answers and more help!” Feeling this way is OK. The Psalmists and Job and others obviously did the same thing. Acting upon those feelings is a different story. Just remember one thing: at the end of the day, God is more merciful than we could ever imagine. He is not cruel, He is holy. You and I wouldn’t really want a God who didn’t stand up for Himself. Today, people suffer (good people and bad people alike). Tomorrow, the heavens will open wide and Jesus will call home His own. That is a real hope to cling to, no matter how many “why” questions are left unanswered. This entry was posted in Hot Topic Songs, May 2013 and tagged Grace, hard rock, Jesus, Job, loud music, perplexing question, Problem of evil, romans 9, stavesacre, why do good people suffer? by truthintunesguy. Bookmark the permalink.